We’ve all been there: a great angling situation presents itself, but you don’t have the right gear with you. 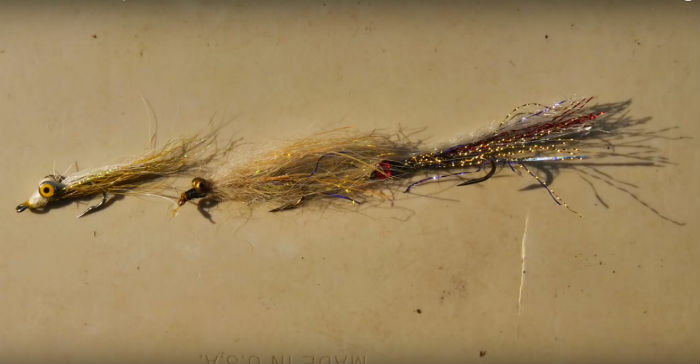 Maybe you went out for a day of streamer fishing, and a big hatch comes off, bringing large trout to the surface; or perhaps you can tell that the fish are eating caddisflies, but you left that fly box at home. A day on the water does not always turn out like you plan it. Watch what Dave Jensen encounters on a trout stream, and how he modifies his flies to meet the challenge. It’s always fun to improvise, and if you don’t occasionally make a bold move when fly fishing, you could be missing much of the fun.